Our Choice: A Plan to Solve the Climate Crisis by Al Gore , which I received as a win from the Green Books Campaign with Eco-Libris, is not what readers will expect. The foreword is read by Al Gore himself (check out the audio excerpt), but the remainder of the audio is narrated by Cynthia Nixon and John Slattery in alternating chapters. Many will expect this volume to talk about how to save the planet, but some may mistakenly think that this is a practical guide for the average American. Upon listening to the audio, however, readers will quickly realize that it is geared at providing larger scale solutions to the climate crisis. However, it would be wrong to assume this book is only for policymakers, scientists, and other societal players because without support from individuals these initiatives will not come to pass. Our Choice is a comprehensive look at the most viable solutions available to combat and reverse climate change, and it examines each solution from a variety of perspectives to determine which would be the best investment. The book is about not only learning to conserve energy, but also about learning to use waste energy to supplant energy needs and make processes more efficient. From deforestation in developing nations to population growth, Gore discusses many of the pressing issues facing the sustainability of the globe. Although many of the developed nations have contributed most to the carbon emissions and developing nations find it unfair that they should adhere to caps when they have not had enough time to develop their industries, Gore makes the case that we all live on the same planet and regardless of who caused the most damage the time has passed for the blame game. It is now time for humans to look beyond nations, cultures, and societies to save our home. Depending on your level of enthusiasm for environmental issues or affinity for audio books, Our Choice is a deeply informative book about the broader picture of climate change and the possible solutions. However, readers may find the narration a bit dry at times given the nature of the information provided and may prefer to read this book on their Kindle or in paperback. Gore’s book is a must have for each American so they can learn about the crisis, make note of the possible solutions available to individuals and those for the broader society, and take action on a grassroots level. America was built on grassroots activity, and that great tradition should continue. OK, I’m jumping down from my soapbox. As a bonus, I would like to do the “green” thing and pass along my copy to another reader. 1. Leave a comment about your feelings on the climate crisis. 2. Blog, Tweet, Facebook, or spread the word and leave a link on this post. Avid readers need to create the demand necessary to spur publishers to use “green” publication methods and materials. Readers encourage publishers to reduce the sector’s carbon footprint simply by purchasing books made from “green” materials and through environmentally friendly practices. Only 0.23 percent of publishers are committed to increasing the number of books made on recycled paper, according to Eco-Libris. Moreover, only about 5 percent to 10 percent of paper used by book publishers is recycled. Meanwhile, the Book Industry Environmental Council announced that it was committed to reducing greenhouse gas emissions in the publishing industry by 20 percent or to a 2006 baseline by the year 2020, and an 80 percent reduction by 2050. As environmental issues continue to make headlines and paper-based books remain the dominant form on the market, Eco-Libris and online book reviewers want to call attention to those books that are made from recylced materials and FSC-certified paper. Books reviewed on Nov. 10, 2009, at 1 p.m. Eastern Standard Time by the online bloggers range from nonfiction and fiction to poetry and cookbooks. 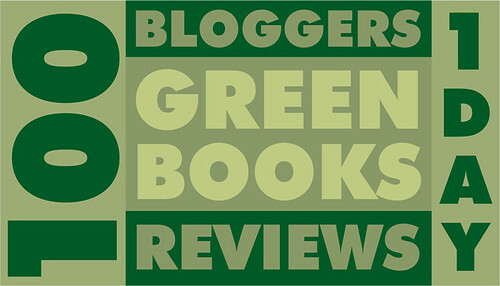 For more information and a list of participating blogs, please visit the Web site for the Green Books Campaign. See you on Nov. 10, 2009, at 1 p.m. EST.